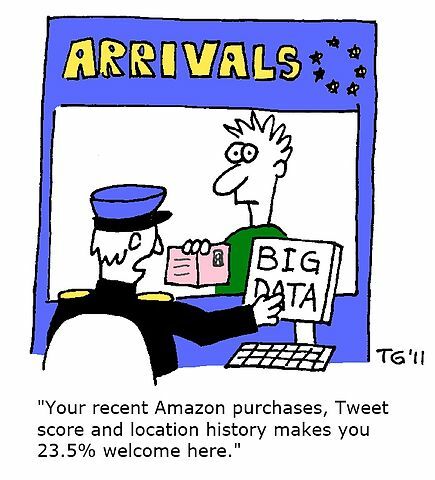 Big data is probably one of the most happening buzz words in tech space. Let’s see why it is being called the Sexiest job of 21st Century. Believe it or not, you have been contributing a lot to Big Data space every day by the digital traces you leave. Let me put some compelling points to convince you, why you need to learn Big Data analytics in 2017-18 and its future scope. From the coffee you bought today morning, to the like on Facebook you did last night, and to the video, you were watching minutes ago on youtube. Everything is being recorded and tracked by companies to analyse, predict and then recommend their products accordingly. In fact, the ads you are seeing on this page are inspired by your recent search history and the sites you have been browsing. Companies are able to predict what you want when you want and how much you want. This is EVERYWHERE you can think of. In fact, the difference between the rise of Google and fall of Yahoo can be attributed to the fact that Google invested in Analytics smartly, was able to tailor its services offering as per individual needs and soared ahead of the competition. Have you ever thought, ‘ How many likes & share will be happening per minute on Facebook’, How many digital traces you leave in a day’, ‘how many calls will the user of the mobile network is making in a minute’. 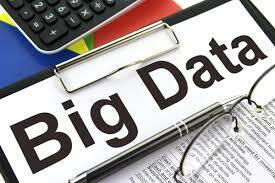 Due to the huge amount of data assets the companies have, there in an Increasing demand of big data professionals who have skills and ambition to build the solutions for business while developing a fast growing career (called Big Data Analytics) for the long haul. The need for data analysts, data scientists, business intelligence and Big Data professionals is being fuelled by the need for insight and commercial return on investment from data assets. Companies need data analytics practitioners to analyse and extract valuable insight to support strategic innovation and growth in their business. Be it HR, marketing, finance, operations, management, universities, public sector to private sector, jobs in any sectors have been fuelled by analytics demand. Add the analyst word to any role & you can see the difference in the salary yourself. Many companies build their decision on analytics, not only to increase profits & minimise a loss but also to focus on customer segmentation, preventing fraud, increasing customer experience & maintaining positive ROI in the market. Hence it’s on the top priorities for the organisation to invest in analytics. Predictive analytics is currently one of the tools for the industry to forecast their risks & take calculative measures. If you are looking to step up, analytics is the fast track career path you have been looking for. You may have been into the same sector for a decade or aspiring to reach the salary thresholds which are difficult to break into. Analytics can help you raise the bar and set you apart, as the demand for analytics professionals have skyrocketed in the last couple of years. The job market is incredibly busy with the analytics jobs, average salary now stands at £57K per annum, 31% higher than any other IT related jobs. With the surge in popularity and opportunity in Big Data Analytics and Data Science, more companies invest hundreds of millions of pounds (GBP100s million) in their data assets over the last year than ever before, and this is creating lots of new roles across the Big Data a profession which will continue to growth exponentially beyond the next decade. Salary & vast opportunities in all sectors are some of the perks of having analytics. The fact is if you understand the spurt in demand for Big Data Analytics professionals you should be gearing up for it. It’s the right time to get into the ship before it sails away.